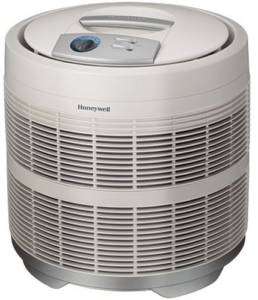 Honeywell 50250-S air purifier is one of the most effective in the middle price range ($100 – $200). 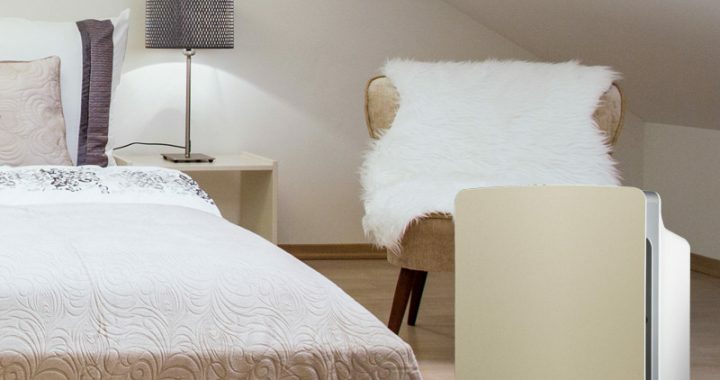 It is recommended for rooms up to 390 square feet (36m2). The 50250-S has a 360-degree air intake. I am not a designer, but this air purifier looks very simple design. 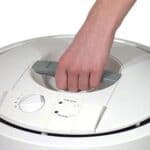 Looks like washing machine drum. White color makes it easy to merge with the room. Size is big, height 19in (48cm), width 18in (46cm), depth 18in (46cm). Also, it is quite heavyweight 20lbs (9kg). But with the built-in handle, it is easy to move it. 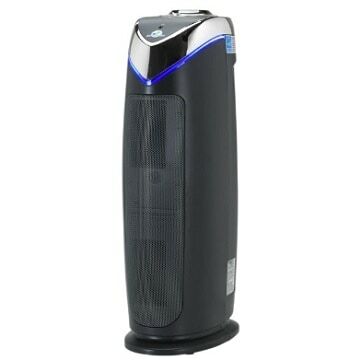 The 360-degree air intake is a big plus, you can place air purifier as you want, but for proper air flow, you should locate the unit at least 3 feet (1 meter) from any wall or furniture. The Honeywell 50250-S uses a fan to move the air. 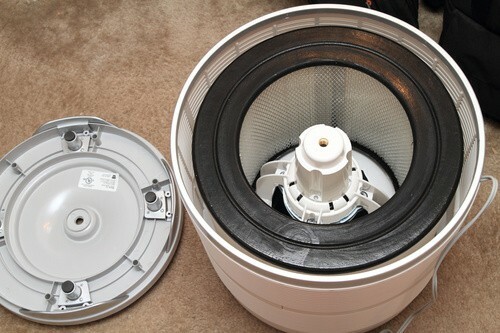 Inside is 360-degree HEPA filter and around it is pre-filter. 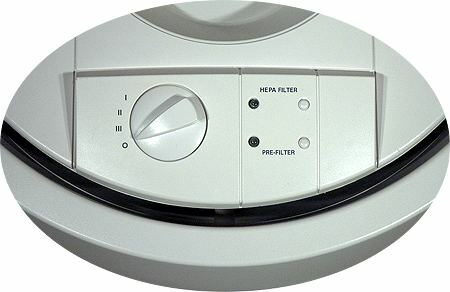 Pre-filter prolongs HEPA-filter life by removing large particles and it helps reduce common odors. 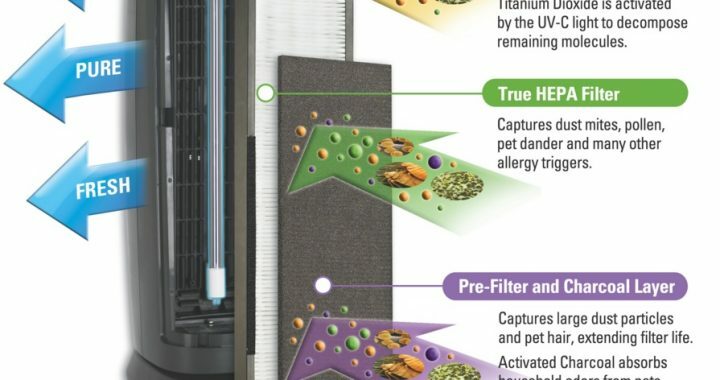 HEPA filter is a long life, captures 99.97% of particles as small as 0.3 microns. And it really works – captures dust mites, mold spores, pollen, pet dander, tobacco smoke. It also helps capture certain airborne germs such as bacteria and virus. 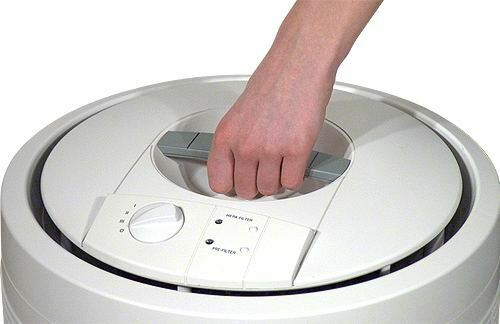 So this unit is ideal for allergy and asthma sufferers, fighting smoke particles and boosting general air quality. If you have a headache, itchy nose, eyes, cough this unit will help. them after the filter change. Carrying handle – very useful for 20lbs unit. 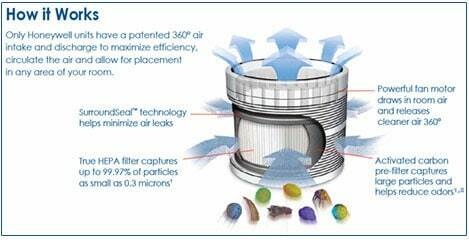 SurroundSeal Technology helps minimize air leaks and ensure that all air that passes through the filter is cleaned of particles and impurities. little bit. So you can’t use it in your bedroom. Ok, maybe you can if you have a strong sleep. But I would recommend to use it in other places such as kitchen, living room, basement etc. CADR – clean air delivery rate. Honeywell 50250-S is recommended for rooms up to 390 square feet. Let’s say regular ceiling height is 8 feet. 390×8=3120 cubic feet. In smaller rooms than 390 square feet, Honeywell is even more efficient. 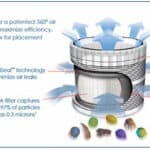 Honeywell recommends replacing pre-filter every 3 months or even more often. It costs around $20 so that’s $80-100/year. When changing pre-filter clean HEPA filter. About HEPA filter thoughts split. But I think that for the best air quality you should change it once a year. 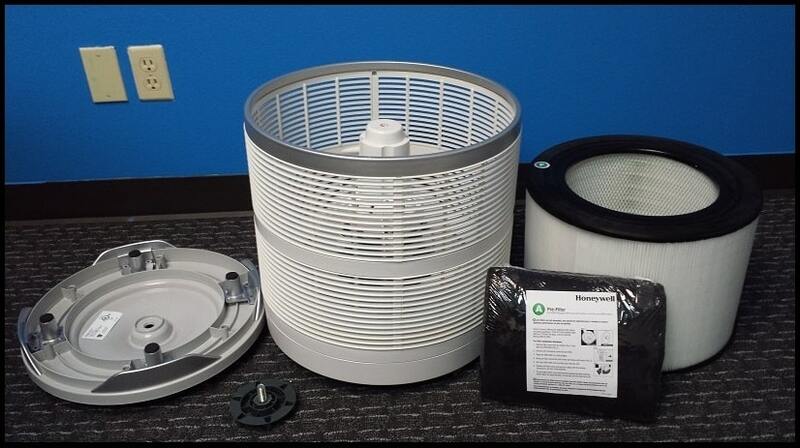 You can use replacement filter model 24000 which costs approximately $50 or 3 HRF-F1 filters (one cost $30, so together that would be $90). Filter change is very easy. You just need to unscrew big nut below air purifier. On it’s highest setting, it pulls 170 watts. That is like video game console or TV. On the lowest setting, it uses 50 watts that are really nothing. 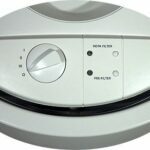 Really good air purifier under $200 range. Delivers clean air in 12.5 minutes in the quite big sized room. Easy to use and maintain. A great feature is 360-degree air inlet. 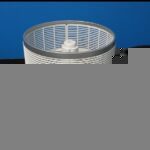 Posted in Air Purifier Reviews, Reviews and tagged Air Cleaner, Air Purifier, HEPA filter, Honeywell 50250, Honeywell 50250-S Review.